The state’s most expensive transportation system can be improved a great deal by integrating simple, human-powered technology that’s nearly 200 years old. The $6 billion Honolulu rail transit project easily dominates any conversation about the evolution of transportation on Oahu. 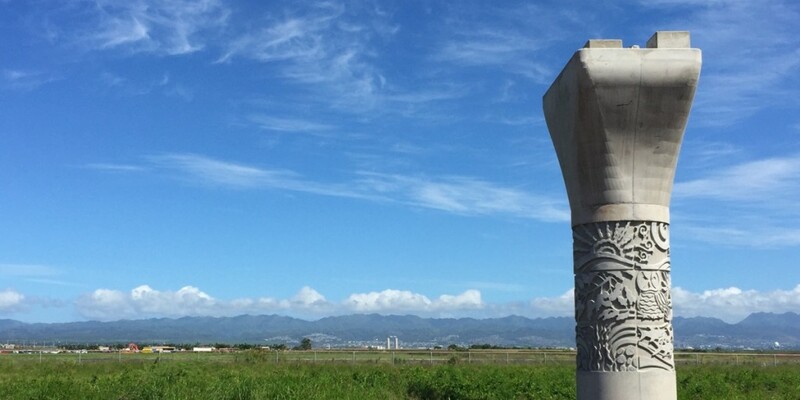 With the first four miles of the 20-mile route piercing into Waipahu and crossing the H-1 freeway, it’s impossible to miss. But it’s just one ingredient in a much more complex recipe. In just the last couple of years, we’ve seen the arrival of ridesharing services like Uber, the groundwork laid for carsharing services like Car2Go, great progress made in deploying a bikesharing system, and significant city investment in expanding and improving bike routes. The ‘Reboot the Commute’ hackathon in May was only the first of many efforts to rethink and transform the ways people get around the island. On Thursday, the Hawaii Bicycling League is hosting an discussion about connecting steel-on-steel rail wheels with two wheels. While the rail system will be able to move thousands of people back and forth across Honolulu’s main corridor, riders will still need to get to rail stations first. City officials say about 240,000 people already live within a mile of a rail station, and can easily walk there. But if you expand the range to three miles, rail can serve more than half a million residents. And with buses and cars (and carsharing) serving people further out, bicycles are a great way to bridge that middle gap. The planned rail system’s 80 train cars will have designated space for riders to bring their bikes with them, and rail stations will include bicycle racks. All that’s left is ensuring that bikes are included in transit-oriented development, plans that are now being set to shape the neighborhoods around the 21 rail stations. Are there bike paths in those neighborhoods, and do they connect with the station? For example, the league says that Vancouver has an especially well-integrated system, where more than half of the trips on its rail system now incorporate walking and bicycling. The event will feature several speakers: Mark Garrity, deputy director of the city Department of Transportation Services, Harrison Rue, the city’s Transit Oriented Development administrator, Ryan Tam, planning manager for HART, and John White, executive director of Pacific Resource Partnership. Daniel Alexander, advocacy director of HBL, will moderate the panel. “The Rail, TOD & Bikes” will take place at Kakaako Agora, from 5:00 p.m. to 7:30 p.m. For more information, visit the event page on Facebook, or visit the HBL website.